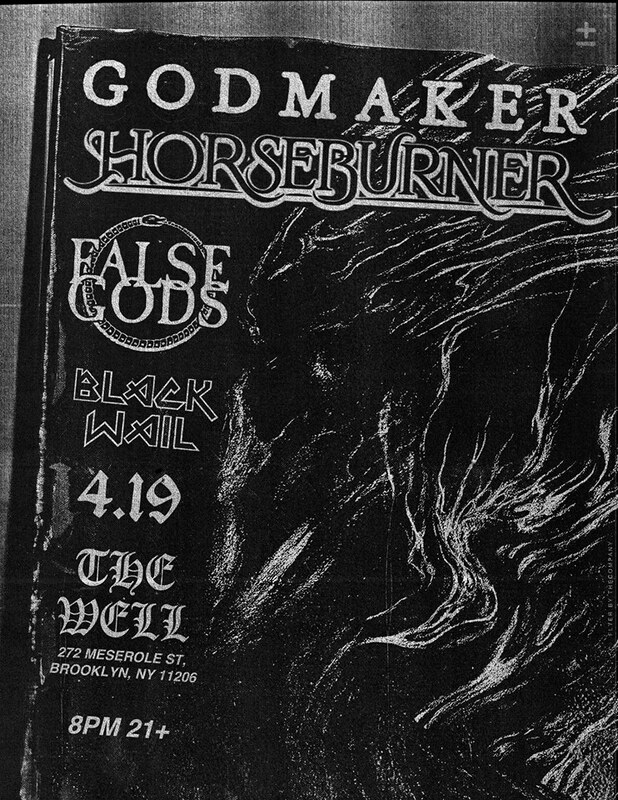 Godmaker - http://godmaker.bandcamp.com -- our only show of the spring, mid-writing. Horseburner - http://horseburner.bandcamp.com - HORSEBURNER!! on tour from W.VA. Prepare your faces and necks! Black Wail - http://blackwail.bandcamp.com - 5 piece riff/rock/harmony machine, coming over from NJ to rock your faces early! Tickets go live at noon, and that gives you plenty of time to run these dudes' music, and figure out how much damn fun this show's gonna be. We'll see you there, #BecauseLoud!!! !